Home › All About God › Is Christianity an Abusive Relationship with God? Is Christianity an inherently abusive religion? Dr. Bennett recognizes that “some interpretations of Christianity and God are more benign than others.” However, he then states his belief that Christianity at its core is a system that promotes an abusive relationship between God and the faithful, or between Christian leaders who claim to speak for God and the faithful. In other words, he believes that even the more “benign” interpretations of Christianity are still based on an inherently abusive paradigm. In Dr. Bennett’s view, all versions of Christianity fall somewhere on the spectrum of abuse, from mild to severe; there is no such thing as a healthy relationship with the Christian God. Given what passes for “Christianity” today, I sympathize with Dr. Bennett’s feelings about this. The core doctrine of salvation in mainstream Western Christianity does describe a god who requires the suffering and death of his own son in order to forgive human sin. The technical name for this doctrine is the satisfaction theory of atonement. It is adhered to, with some variations, in both the Catholic and Protestant branches of Christianity, but not in the Orthodox branch. Any god who requires suffering, pain, and death to satisfy his honor, or justice, or wrath, is indeed an abusive god, and is engaged in an abusive relationship with his followers. On that I agree with Dr. Bennett. But that is not the God that the Bible portrays. But nowhere does the Bible say that God required the death of his Son to be placated for human sin. What the Bible does say from beginning to end is that God requires us to repent from our evil actions and live a good life of love and kindness to our fellow human beings instead. This, according to the Bible, is how we turn away the wrath of God. This is the true God of Christianity. This God is not in an abusive relationship with anyone, but is in a relationship of love and respect with everyone, whether or not it is reciprocated. Is Christianity an abusive institution? Dr. Bennett is right that many organizations and institutions have used and continue to use religion as a means of asserting power and maintaining control over people. In Matthew 23 Jesus mounts an all-out attack on the scribes and Pharisees due to their love of adulation, their hypocrisy, and their abusive behavior. Dr. Bennett is right to say that many people and institutions use Christianity to maintain power and control over people. But this abuse of religion to gain personal wealth and power is condemned by Jesus Christ himself. The so-called “Christians” and “Christian” churches that engage in such behavior are violating the teachings of Jesus Christ, whom falsely represent to their people. 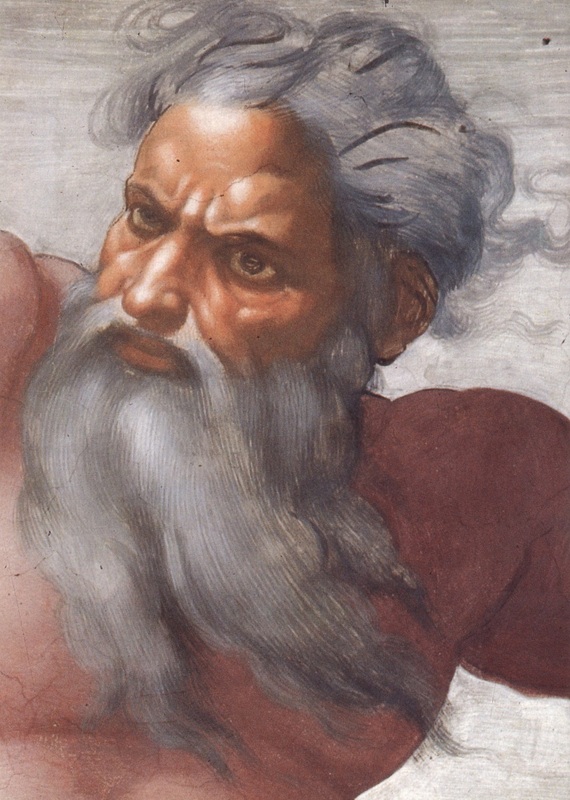 Does the Christian God want to control us? It may be about power. But it isn’t necessarily about control. You see, power can be either positive or negative. It can be either loving or abusive, depending upon the motives and goals of the people wielding the power. When power is wielded to dominate and control others because we love having people serve us and make us wealthy, it is negative and destructive power. When power is wielded to do good for others and to benefit them out of a love and concern for their wellbeing and a respect for them as people, it is good and constructive power. It is true, as Dr. Bennett says, that there are “kings, presidents, political groups, churches, religious leaders, or individuals who claim to know the will of God or even speak on his behalf.” But if these individuals and institutions make this claim in order to enhance their own wealth and power, they are exercising a negative and destructive type of power that is diametrically opposed to the power of God. On the other hand, there are individuals and institutions, including some government officials and agencies that are not corrupt (yes, they do exist! ), that exercise power in order to protect people from violence and abuse, and to provide for the wellbeing of the people. These individuals and institutions must assert power over others, including arresting and imprisoning criminals. But they do so, not to enhance their own wealth and power, but to provide for the wellbeing of the citizenry as a whole. There is evil in our world. There are people who will carry out evil plans that harm and destroy other people if they are not restrained by a greater power. Despite the fact that many government agencies and officials are corrupt, the legitimate purpose of government is to protect people from individuals and institutions who would harm and destroy them. This type of power is not about controlling people except when they engage in evil actions. For people who do not engage in evil actions, but who act out of love and respect for their fellow human beings, this type of power is their friend. They have nothing to fear from it because it is wielded to protect them from harm at the hands of people with evil intentions. The Christian God has no desire to control us. The Christian God loves us and wants us to be happy and healthy, both physically and spiritually. That’s why God gives us many commandments not to do evil and destructive things, and to do good, loving, and constructive things instead. Even so, the Christian God does not force us to follow those commandments, but invites us to do so. The Christian God weeps to see us act in ways that bring pain and punishment upon ourselves—but respects us enough to let us to make our own choices in life, even if we make bad choices. This is the very opposite of abusive and controlling behavior. The Christian God wields infinite power, not out of a desire for wealth and power, but out of pure love for us, and a desire to do every possible good for us even when we willfully turn our back on God. Does the Christian God engage in abusive behaviors? Now let’s take a look at Dr. Bennett’s charge that the Christian God engages in the abusive behaviors covered in a standard domestic abuse chart reproduced on his website. This chart lists eight types of behavior indicating that a relationship is abusive. The mainstream Christian God does engage in many of these behaviors. That’s why I have much sympathy for Dr. Bennett’s accusations. It is also why I reject the traditional Christian God. Besides, that god misrepresents the God of the Bible. Yes, the Bible has many depictions of God as angry and wrathful, and as punishing destroying people who violate God’s commandments. Much of this is due to the low spiritual state of humanity. Fear is often the only way to restrain people who incline toward selfishness, greed, and abuse. That’s why even today, every community and nation must establish laws that prescribe appropriate punishments for various crimes. Without the fear of punishment, society would descend into chaos as criminals ran rampant, preying upon good and innocent people and destroying their lives. If we take everything in the Bible literally, then yes, in some places the Bible certainly does make God look like an abusive tyrant. But if we understand that these harsh depictions of God are intended to restrain people who are bent upon deceiving and abusing others, a very different picture emerges. Now let’s take a look at the eight abusive behavior types covered in Dr. Bennett’s article. However, Jesus doesn’t say that God is the one who has the authority to throw you into hell. More likely he was referring to Satan. Still, doesn’t the Bible threaten people who violate God’s commandments with eternal punishment in hell? Isn’t this the “ultimate threat,” to use Dr. Bennett’s words? By the same token, every decent government threatens lifelong imprisonment here on earth to people who violate laws against serious crimes such as murder. The Bible must threaten serious consequences for evil and destructive behavior in order to restrain people from acting on their worst impulses, and to get people to think about amending their ways and living a decent and honest life instead. What is evil, anyway, and why does God issue commandments against it? Evil is anything that harms people and damages our physical and social environment. God commands us not to do evil, not because God is a control freak, but because evil hurts. The “coercion and threats” in the Bible are there for one and only one purpose: to restrain us from living in a way that damages and destroys each other and ourselves. In short, God’s commandments exist to prevent abusive behavior, and to protect its victims. The same principle applies here as in the section just above about coercion and threats. “The Lord’s foes” are not some arbitrary group of people whom God doesn’t happen to like. “The Lord’s enemies” are people who willfully engage in evil, destructive, and abusive behavior. Yes, the Bible uses strong words to describe the fate of those who do evil things. As covered just above, that is to reach recalcitrant souls who are bent on murder and mayhem and are not restrained by anything other than the fear of serious consequences for their actions. People who live a life of love, kindness, and respect for their fellow human beings have no fear of eternal punishment. Even if our human governments and institutions may sometimes be corrupt and arbitrary, in God’s judicial system there are no miscarriages of justice. No one who acts in good faith, out of love for their fellow human beings, has anything to fear. Only people who, out of greed and selfishness, cheat, rob, steal, kill, perpetrate sexual assaults, and harm people in other ways. In short, the “intimidation” in the Bible is specifically aimed at restraining people from engaging in abusive behaviors. Truth be told, much of mainstream Christianity does wield guilt and obligation as weapons to browbeat its followers into obedience. For centuries, fire-and-brimstone sermons have pounded into the minds of the faithful the idea that they are miserable, worthless sinners who can be saved from eternal torture in hell only by throwing themselves upon the mercy of God, invoking Jesus’ death in their stead as a reason for God to spare them. The Bible never says that God killed his son. It was not God, but humans who crucified Jesus. This is presented in the Bible as a terrible injustice perpetrated on God’s beloved Son by human beings. And nowhere does the Bible say that God required his Son’s death as satisfaction or payment for our sins. That concept didn’t enter into Christian theology until Anselm of Canterbury originated the satisfaction theory of atonement 1,000 years after the last books of the Bible were written. Five hundred years later, the founders of Protestantism built upon this unbiblical error in formulating their theory of penal substitution. The Bible presents Jesus as willingly dying for us in order to gain complete victory over the power of the Devil, which had held humanity in slavery to evil and sin. Jesus’ death was not to satisfy God, but to defeat death itself, and to defeat the evil power that was holding humanity in a death grip. Jesus came, not to engage in the emotional abuse of foisting guilt and obligation upon us, but to break the power of evil and sin over us, setting us free from its clutches. Do not be unequally yoked together with unbelievers . . . for what part has a believer with an unbeliever? Abusers control who the victim socializes with and what information they consume by using jealousy to justify his or her actions. The Bible is full of verses and parables establishing a clear rule to stay away from those who don’t believe as you do, with the exception of preaching to non believers for the purpose of conversion. Paul isn’t talking about isolating ourselves from everyone who believes differently than we do. He is talking about avoiding the company of lawless, dark-minded, and wicked people. “Unbelievers” here is a broad term for people who reject God and goodness, and turn toward evil instead. Justification is established by creating a dichotomy of just two kinds of people in the world: good God fearing people and those under the influence of Satan . . . . When the abused are isolated, they are less likely to see how they are being abused. This black-and-white view is characteristic of the conservative, fundamentalist wing of Christianity. In that segment of Christianity, I’m afraid there is much truth to Dr. Bennett’s words. Some “Christian” churches verge on being cults, inducing a fear of outsiders and of loss of salvation and eternal hell if their members associate with people outside the church or fall away from the church. Meanwhile, the Bible is full of good, God-fearing people engaging in regular relationships with all sorts of people who do not share their beliefs. The prohibition against mixing with unbelievers was mostly to keep people from backsliding into some of more destructive practices of their former pagan religions, such as sacrificing their children to the gods. This teaching has nothing to do with the common abusive behavior of cutting the victim off from all outside contact in order to exert complete control over her or him. Rather, it is about avoiding people who are a bad influence, and who will drag us down into destructive behaviors. For example, if you are prone to substance abuse, it is a very bad idea to hang around with addicts, alcoholics, and drug pushers, and a very good idea to avoid the bars. You need to get away from their atmosphere and influence so that you have a fighting chance of remaining clean and sober. Abusers attempt to cut their victims off from good outside influences that would give them the strength to break away from the abuser’s power and control. Real Christianity seeks to break us away from bad influences so that we can become our own best self. Yes, some versions of Christianity teach this sort of thing. But that’s not what the Bible teaches. Likewise, the Bible never teaches the traditional Christian doctrine of original sin. See: “The Faulty Foundations of Faith Alone – Part 2: Original Sin?” The Bible simply does not say that we deserve punishment due to the sins of our ancestors. In fact, the Bible specifically denies it. Nor does the Bible say that we must suffer here on earth in order to attain to eternal joy in paradise. Rather, suffering and sin is presented as a result of our acting contrary to the commandments of God, which are all about not doing evil and destructive things, but doing good, loving, and constructive things instead. The whole purpose of the Bible is to draw us away from evil, selfish, and destructive behavior, and the pain and suffering it causes us, and lead us toward living out of love and kindness for our fellow human beings. So yes, some versions of “Christianity” do engage in the sort of rationalization of pain and suffering that Bennett mentions. But they do so only by ignoring and twisting the plain teachings of the Bible. Here Bennett cites the Tenth Plague—the death of the firstborn all the Egyptians—as well as several statements about God blessing the righteous with children, but cursing the unrighteous with barrenness. He compares this to abusers using children to maintain power over the abused. Let’s be honest. Much of the Bible was written in brutal and superstitious times. People commonly believed that the gods had the power to bless and curse people in very literal and physical ways. The Old Testament is full of promises of health, wealth, freedom, and fertility to those who obey God, and threats of sickness, poverty, enslavement, and barrenness to those who disobey God. To us today, such descriptions of God look both barbaric and petty. But God had to work with human beings as they actually existed, not with some idealized version of humanity. For people living in economically developed areas today, it is hard to grasp that the people of Bible times were focused almost entirely on the physical necessities of food, clothing, housing, and fertility of crops, herds, and wives, not to mention the fear of conquest and enslavement by foreign powers. In Bible times, most people lived just a step away from starvation, enslavement, and death. To have any influence on the lives and behavior of the people of these cultures, God had to speak in terms of the practical, physical things that meant something to them. Did God actually kill the children of the Egyptians and curse the unfaithful with barrenness and poverty? I don’t think so. (See, for example, “Is Hurricane Sandy God’s Punishment on the Wicked?”) The Bible is not literal history as we think of it today. It is cultural history and myth by which these ancient people made sense of the situations and predicaments of their lives. To them, it made sense that God would reward the good and punish the evil. This gave them the motivation to live good lives instead of evil lives. And the reality is that people who live evil and destructive lives do cause much harm to their children. The desire to protect their children from harm and provide good lives for them was a major motivator for the ancient Israelites to heed God’s commandments. Even today, many people are motivated to change their lives for the better for the sake of their children. This has nothing to do with abuse. It has everything to do with making life better for parents and children alike. Bennett refers to various statements in the Epistles placing women in a position subservient to men, and compares this to the common pattern of abusive men treating women like servants. Gender inequality entered into human society when we opted out of God’s original plan. In the cultures of the Bible it was considered natural for men to rule and women to serve. This was so deeply ingrained that it was unquestioned by men and women alike. And the Bible is a practical book. It doesn’t tilt at windmills, attempting to change things in the current culture that are too deeply rooted to extirpate. Just because the Bible was written during patriarchal times, that doesn’t mean God supports such an arrangement. The gender inequality that has existed throughout recorded history was a result of our departing from God’s original model in creating man and woman. And I rejoice that we are finally moving back toward doing things God’s way. “I am unworthy of all the kindness and faithfulness you have shown your servant. I had only my staff when I crossed this Jordan, but now I have become two camps” (Genesis 32:10). Abusers can control the financial status of those they abuse in order to maintain power over the abused. While there are many examples of both rich and poor Godly characters in the Bible, just like fertility, financial well-being is quite often credited to God by believers. And just like fertility, the same principle applies. In those days people commonly believed that the gods blessed and cursed people with fertility and wealth, or lack thereof, based on their faithfulness to their gods, or lack thereof. The Bible speaks to the people according to this belief in order to encourage them live good lives instead of evil lives. The idea that God blesses the faithful with material success, while cursing the unfaithful with material failure, is an Old Testament paradigm. In the New Testament, the blessings of God are not material wealth, nor are the curses of God material want. The New Testament looks deeper, promising inner joy and peace of mind to those who are faithful to Jesus Christ and his commandments, but warning of inner turmoil and pain for those who continue in their selfish and greedy ways. Today, psychologists generally recognize that people who live an honest and caring life commonly have greater peace of mind than people who live a greedy and duplicitous life. The New Testament said the same thing 2,000 years ago. It’s not a matter of threats and rewards. It’s a matter of explaining the reality of where our choices will lead us. If we choose to live an expansive and inclusive life of loving and serving our fellow human beings, we will experience the peace and joy that comes with this type of life. If we choose to travel along an inward spiral of caring only for ourselves and our own wellbeing, we will experience the isolation fear that comes with this type of life. In the Bible story, as people move beyond purely physical and material concerns, the focus of the message moves beyond purely physical and material concerns too, leading people toward a higher and more spiritual focus. The God of the Bible meets us where we are. If we are focused on economic ends, the Bible speaks to us from that mindset. If we are focused on spiritual ends, the Bible speaks to us from that mindset. And it continually encourages us to move higher. The God of the Bible, who is the Christian God, respects our freedom, and leads us only as far and as fast as we are willing to go. This is the exact opposite of an abusive relationship, in which a dominant figure attempts to coerce a submissive figure into behaving according to his or her will. In the Bible, God presents us with a choice, and explains the consequences of each choice so that we can make an informed decision. And though God strongly encourages us to choose good over evil, and never stops reaching out to us throughout our entire lifetime here on earth, in the end God will honor and respect our choice, and will not override it. If the choices we make lead to suffering and pain, that is not God’s will. It is simply the reality of what happens when we choose to focus our lives on gaining wealth, power, and pleasure for ourselves at the expense of others. The Christian God as presented in the Bible is always leading us away from domineering, abusive, and controlling behaviors, and toward a life of mutual love, respect, and service. ‹ What if my Family Doesn’t Approve of the Person I Want to Marry? Yeah, the God of the Bible is definitely abusive to the extreme. Imagine if a husband treated his wife like God (supposedly) treated his followers in the Old Testament. He would definitely go to prison for life or even be put to death, depending upon where the crimes were committed. It’s pretty clear to me that “The System” (God) is comprised only of love and therefore has only love and support to give to other parts of the system. He/it can’t give anger and wrath because it’s simply not “in there” to give. In other words, you can’t give what you don’t have. Therefore, everything that is not love is not from God – regardless of the source! In the case of the Bible, in my view, it clearly contains a bunch of fear-based, twisted old folklore that has noting to so with “God.” So if we just throw out everything in the Bible that is not love we are left with a pristine, spiritually positive, beneficial book for all mankind! In other words, why waste a lifetime trying to make sense out of the senseless, when all we have to do is discard the senseless. Because it’s not logical to think that “God” would be senseless. That wouldn’t make sense. LOL. And how do we know this? Common sense! The need for “salvation” is therefore also a fear-based, man-made concept. In a system that only provides love – there is nothing to be “saved” from, in the traditional sense. The system/God provides us with opportunities for growth so we can “save” ourselves from our own selfishness, and turn that into selflessness. (I prefer terms like “The System” or “Source Consciousness” because the term “God” has been so defiled by all the twisted old stories that it has become tainted in my mind.) All the best! Cheers. Thanks for stopping by, and for your thoughtful comment. I agree with much of what you say, though I do have a different view of the Bible. Yes, in God there is nothing but Love, and the Wisdom that goes with that Love, and the Power that expresses that Love and Wisdom to everyone and everything in Creation. Unfortunately, we humans have fallen far away from that Divine Love and Wisdom. And the Bible must speak to us where we are. Many people don’t understand that life is all about love. They think it is about getting wealth, power, and pleasure for themselves. This can lead people to be very oppressive and abusive to others. God’s predicament is that although God is pure Divine Love and Wisdom, God must speak to people who are focused only on themselves, and who have no respect for what is good, right, and loving. That’s why God often comes across in the Bible as wrathful, angry, and harsh. For people who are in a spiritually low and backwards state, it is the only language they understand, and the only language that might pull them up short and get them to reconsider their life. This, I believe, is why there is so much harsh and barbaric language in the Bible: not because God is harsh and barbaric, but because we are. And yes, the “salvation” that we need is precisely salvation from our own selfishness. There is no danger that God will send us to hell. God is always in the endeavor to bring us up to heaven. But we may send ourselves to hell by choosing a selfish, greedy, and hellish life. That is the real meaning of salvation in the Bible. And that’s why the Bible is always telling us to “repent,” which means to turn away from that hellish life and begin a new, heavenly life of loving God and our fellow human beings.